Cannabis prohibition has made posession of Cannabis illegal in most countries since the late 1930's. That was then, this is now, and now the world of Cannabis legislation is changing faster than anyone could have imagined. Don't assume for a second that the recent personal Cannabis use legalization in Washington and Colorado has changed the world. Not yet. There must surely be massive confusion as the world watches to see what happens next, since it was North American who initiated Marijuana Prohibition, wasted billions of dollars, made millions of people criminals, campaigned hard and ruined lives with the war on drugs for decades. 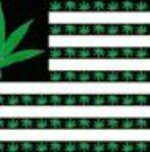 What irony, Karma and a twist of fate that American is now leading the charge, back peddling to it's original Cannabis heritage and now the first country to recapture it's Cannabis Roots! Our Founding Fathers were Cannabis Farmers! Cannabis was so important as a medicinal plant, and with numerous industrial uses, that the early American Colonists enacted a Virgina law in 1619 which required hemp production for all farmers. Hemp comes from the same Cannabis sativa plant, it's not a "distant cousin," it is produced from the stalk, while recreational Marijuana and Medical Cannabis are the ripe, dried and naturally cured buds from female Marijuana plants. Same plant, just different parts. America is blasting open doors to the multi billion dollar Cannabis Industry! Former Stoners are now referred to as Marijuana Industry Professionals! New Canna Businesses are carefully starting, Marijuana Tourism is in it's infancy. Now is the time to hop on board if you're thinking of starting a Tourism CannaBiz! What the world of Cannabis will look like in five or ten years may be very different than today or next month. Many countries have chosen to decriminalize Cannabis posession, others turn a blind eye and make Cannabis effectively legal or legal for medicial Marijuana purposes. Will people someday look back at the absurdity of our multiple thousands of rules and laws? Will it seem as ridiculous to not be able to smoke Ganja in public as it would be to ban taking medication in public view? or consuming a Cannabis medicated Brownie? Times change, laws change and people's reactions change. For now exercising extreme caution in public or keeping your personal Cannabis use private will help keep you out of trouble. To verify the current status of a particular country check with Wiki or the consulate general of that country. Don't just pack your stoner gear and head off to a supposed Ganja Friendly destination based on what you've read or heard. Experience can be a very brutal teacher. And there are nasty prison terms, and vile prisons, that could catch the unsuspecting Ganja Tourist off guard. A Pot Friendly vacation can be fantastic, but it's not worth risking your freedom, is it? Websites are starting to pop up featuring Ganja friendly countries, Ganja tours, or select hotels or places that are considered to be pot friendly. There are Ganja friendly destinations and most Canbnabis friendly countries. If you thought the Marijuana laws were wild and crazy in states where Marijuana is legal, get ready for a real roller coaster ride trying to keep track of stoner friendly cities in the world of Cannabis. How we've slipped from those earlier enlightened times when Cannabis was the world's leading crop, to the dismal state of falsehoods spread about this herbal plant today is a twisted, winding true tale of intrigue, lies and special interests which include William Randolph Hearst, Dupont Chemicals, Timber and petroleum interests. Research and discover the truth yourself, not from any one source, the government or law enforcement. We can anticipate a stormy battle over this natural medicinal plant for some time to come. Doesn't it becomes increasingly contradictory, and unsustainable, for the US to justify sanctions against states or countries under the pretext of the global drug war? Until Cannabis prohibition, Cannabis was considered one of the most important medicinal plants with amazing healing properties. It still is today.